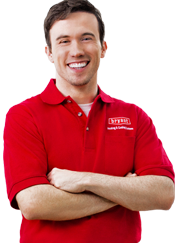 When you need air conditioning installation in Manahawkin, NJ, trust in Air Tech. Air Technical Services Heating, Air Conditioning & Plumbing is dedicated to offering only the best possible solution for residents and business owners in Manahawkin NJ. You can count on us to provide you with a system and solution that fits your unique needs. And since we’ve installed many air conditioning systems in this area, we’ve earned a trusted reputation for doing the job right the first time. Air Tech takes your comfort seriously. 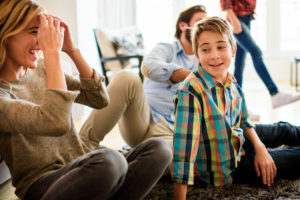 Equipped with the cutting edge HVAC technology and knowledge to perform each installation with excellence, our NATE-certified air conditioning installation experts honor our commitment to help you find the perfect air conditioner for your home or business. With the right air conditioner, you can save energy, cut your utility bills and add value to your home. By replacing old equipment with ENERGY STAR labeled equipment, homeowners and business owners can cut their annual energy bills by almost 20%! Today’s efficient air conditioners use 30-50% less energy to generate the same amount of cooling as units made 30 years ago. That replacement alone can save 20-40% in energy costs. At Air Tech, we’ve seen it all. Here are a few commonly asked questions about air conditioning installation to help you figure out your next steps. How do I know if it’s time to replace my cooling system? Proper sizing and installation are key elements for air conditioner efficiency. For example, if the unit is too large, it will not remove humidity properly and if the unit is too small, it will give uneven temperature control. Our experts will look at how many square feet of living space your home provides in addition to the layout of the floor plan and code requirements to help you determine the right size unit. What do I need to know about R-22? Due to its ozone-depleting characteristics, R-22 is being phased out. By 2020, R-22 will no longer be produced. If your system currently uses R-22, consider switching to the eco-friendly and energy-efficient replacement: R-410A sooner than later. Call Air Tech for help choosing the right air conditioning unit. Our HVAC experts can talk you through the pros and cons to help you determine the most cost-effective, energy-efficient option for your Manahawkin, NJ home or business.